An ankle sprain, more commonly called “rolling your ankle,” is a stretch or tear in one or more ankle ligaments. 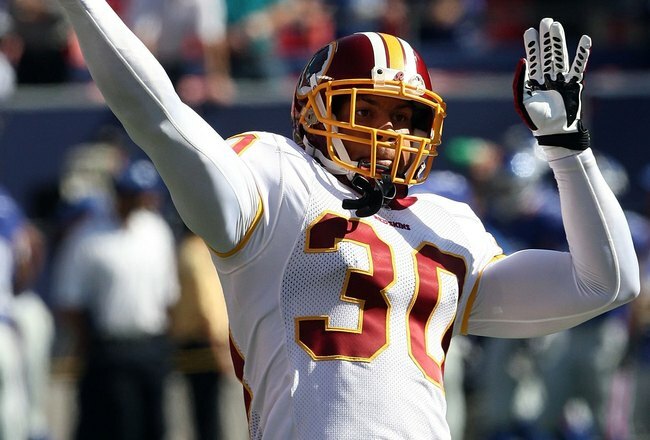 It most commonly involves the anterior talofibular ligament and the calcaneal fibular ligament. The former has been discussed in a previous blog. 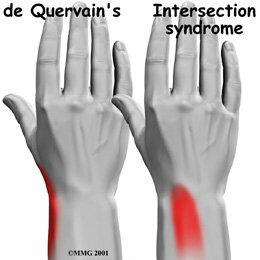 At the Centeno-Schultz Clinic stability is a key concept in the treatment of orthopedic injuries. Stability is one of many critical concepts discussed in Ortho 2.0. Joint instability can lead to injury, acceleration of cartilage and meniscus degeneration and an alternation in bio mechanics. The calcaneal fibular ligament is a narrow cord that connects the distal tip of fibula with posterior and lateral aspect of the calcaneus. 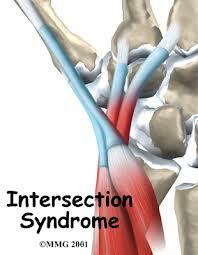 Inversion sprain is the most common injury whereby the ankle is inverted and ligament are stretched or torn. The primary function of the calcaneal fibular ligament is to stablize sub-talar joint and limit inversion. 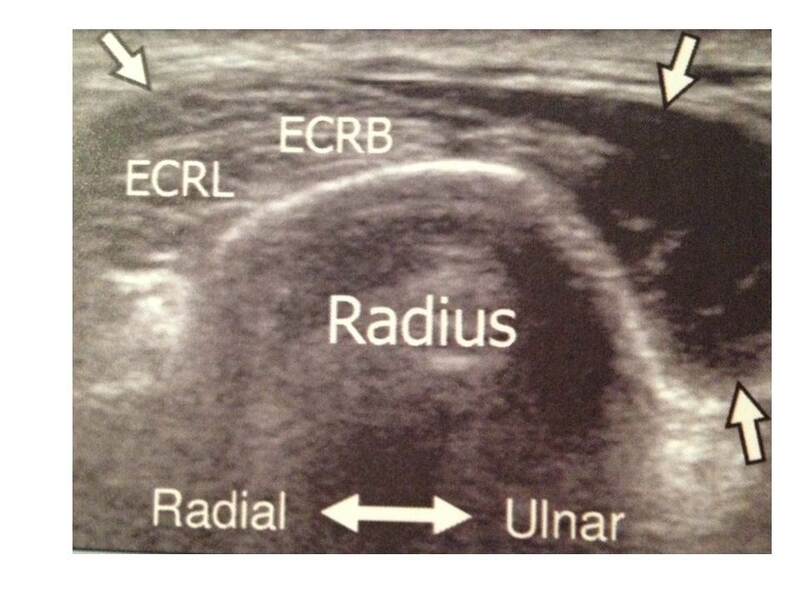 At the Centeno-Schultz Clinic the talar tilt test is to evaluate talar instability. 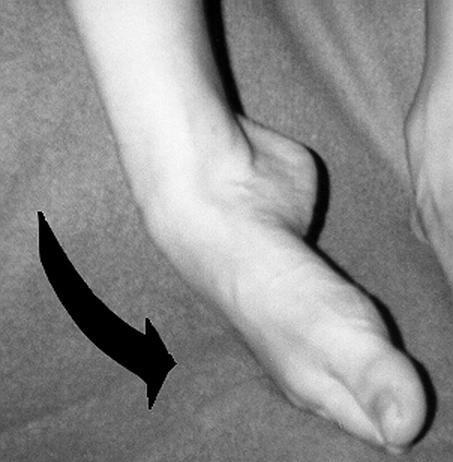 The talar tilt test is defined as the angle produced by the tibial plafond and the dome of the talus in response to forceful inversion of the hindfoot. The calcaneus and talus are grasped as a unit and tilted into inversion. 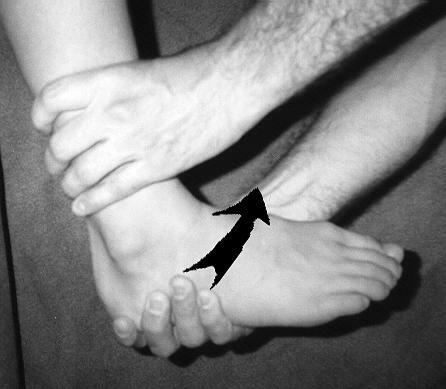 The tibia is held stable with the ankle in neutral dorsiflexion. Risk factors for an ankle sprain include: weak muscles/tendons, weak or lax ligaments and poor ankle flexibility. 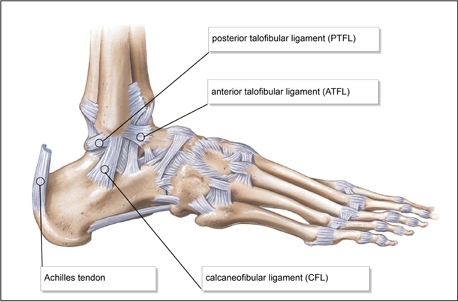 The anterior talofibular ligament (ATF) is a key lateral ligament in the ankle. Ligaments are dense fibrous tissue that connect one bone to another. 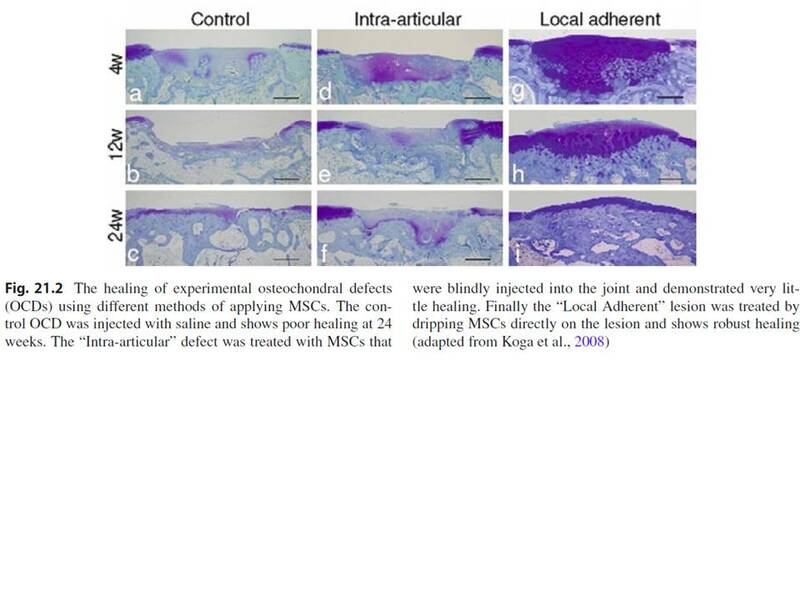 Treatment options for ligament laxity include prolotherapy, platelet derived growth factors and autologous stem cell therapy. It connects anterior fibula to neck of talus. In plantar flexion, its fibers approach vertical orientation. 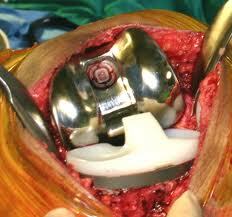 It is the weakest of the ankle ligaments and it’s because of this it is the one that is most commonly injured. 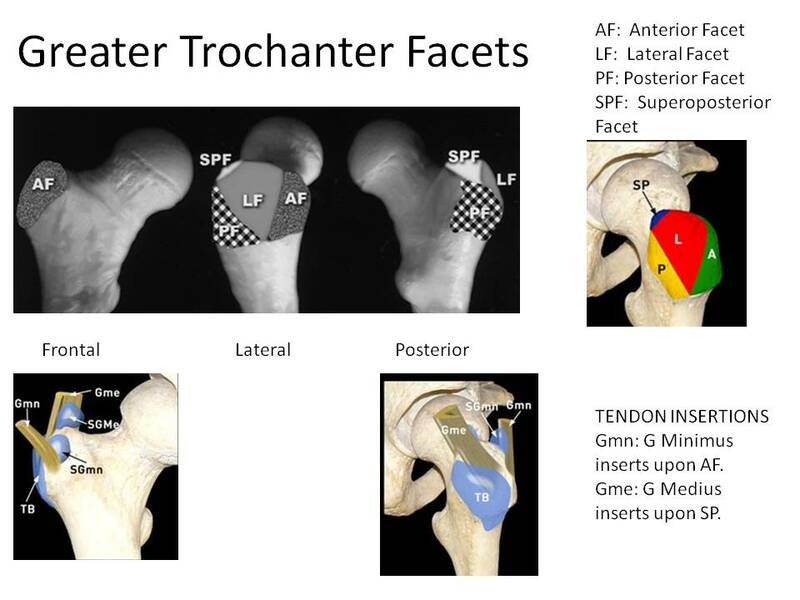 The anterior drawer and talar tilt tests are common tests used at the Centeno-Schultz Clinic to evaluate lateral ligament laxity. Below is an ultrasound image of the ATF. F=fibula and T=Talus. 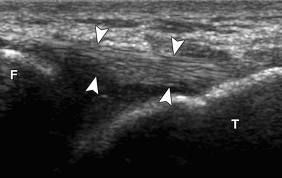 The arrows identify the anterior talofibular ligament. The Centeno-Schultz Clinic acknowledges the dangers of utilizing narcotics in managing chronic spine pain. These include addiction, tolerance requiring escalating doses. cognitive and behaviour changes and death. The Centeno-Schultz Clinic offers comprehensive spine care including facet and epidural injectionsunder x-ray, SI joint injections, prolotherapy and radiofrequency. Stem cell therapy is an alternative to traditional spinal surgery. Regenexx PL utilities platelet derived growth factors to enhance blood flow and reduce inflammation. 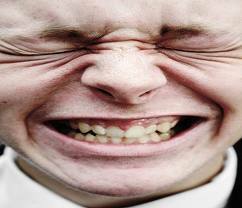 Previous blogs have discussed the successful use of stem cells for spine pain. 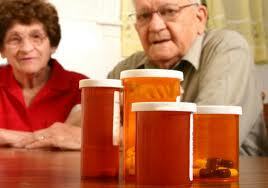 Medication mix ups or mislabeled has potentially serious consequences. 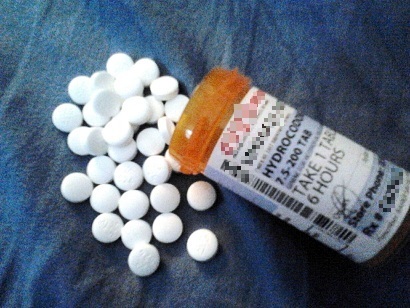 Today the FDA has issued a warning that pills, tablets, or caplets of Percocet and eight other opioid products packaged by Novartis for Endo Pharmaceuticals may have been mixed up, with one drug being packaged as another.